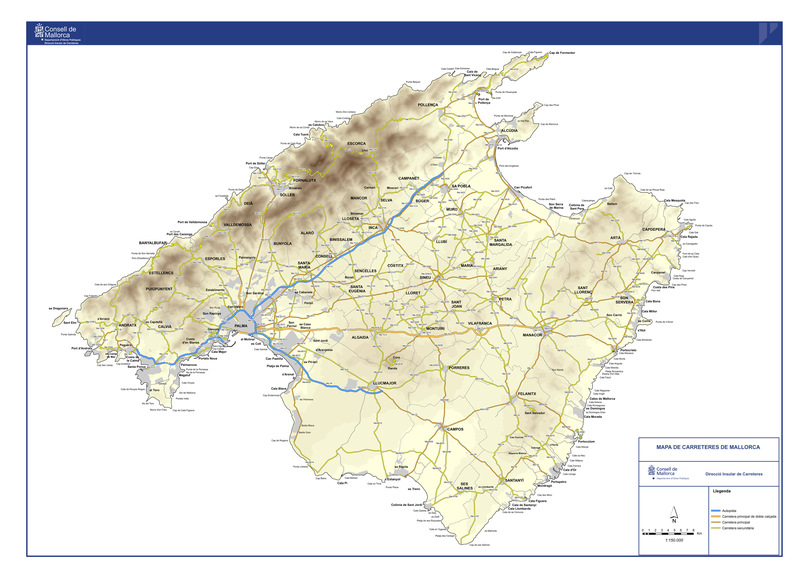 If you are looking for a Mallorca map (or map of Majorca) you should find what you're looking for below. If you're more interested in finding out where attractions are in Mallorca you should go to Mallorca attractions map. A very useful map of Mallorca (Majorca) for the tourist showing all the towns, main roads (inc Palma ring road) and beaches. 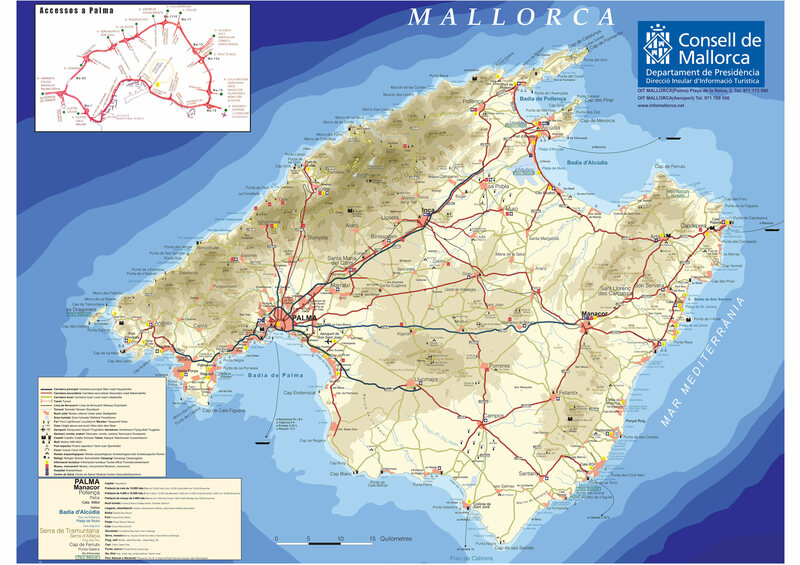 A detailed map or Mallorca's main roads. Pdf map of Palma de Mallorca's streets and roads. A full wine tour guide, with map, of the vineyards in Binissalem and the surrounding area, like Santa Maria. Or go direct to the Binissalem Mallorca website.